Welcome at a new episode of our wonderful Kai. As you already have read I think I was very busy today with creating a few new posts. I hope you did like our new "chapter" of "Wandering Spirit" and I hope you can appreciate our new feature on renga. I had a lot of spare time today, so I had the opportunity to be working on our Kai. This month we are exploring the beauty of the classical kigo (seasonwords) as used in Japanese poetry and especially in haiku and tanka. Today I have another kigo taken from the Saijiki division summer. This time I have chosen a kigo from the sub-division Earth: dripping (spring-water)(shitatari). 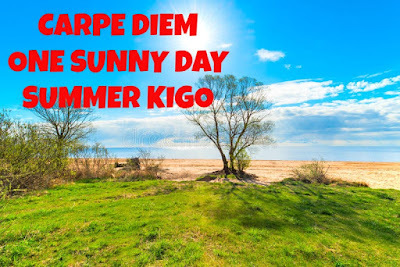 Water is essential for life and with this kigo is sais that water is important in summer, as we all know of course. 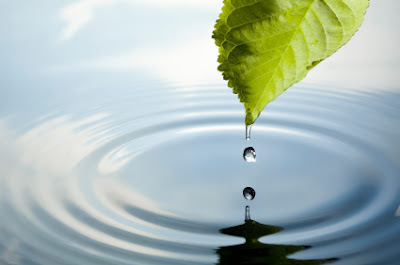 In this kigo "dripping" means that drops of water are falling. I love these classical kigo, but to write in the classical way isn't really my "cup of tea" as you all know. This episode is open for your submissions tonight at 7:00 PM (CEST) and will remain open until June 20th at noon (CEST). I will try to publish our new episode, swimming (oyogi), later on. For now have fun!